Tehran’s two top clubs have a decades-old rivalry (Esteghlal defender Saeed Baghvardani comes to the rescue of goalkeeper Nasser Hejazi when he heads out a humdinger by Persepolis striker Safar Iranpak (fourth left). 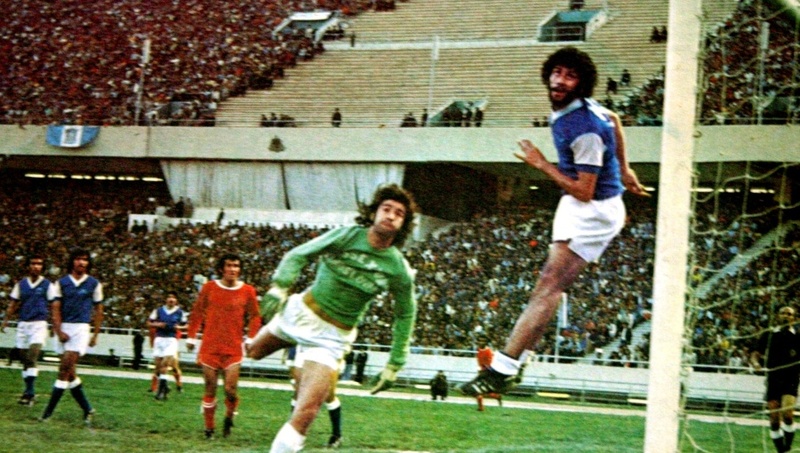 Aryamehr [Azadi] Stadium, Tehran, May 1975. Esteghlal was then named Taj).